In 2 color printing, two ink colors are used instead of one on lower end marketing materials, vs four on higher-end commercially printed pieces. The inks used are typically Pantone® colors, and are frequently used to print a logo, design or symbol in a unique color. 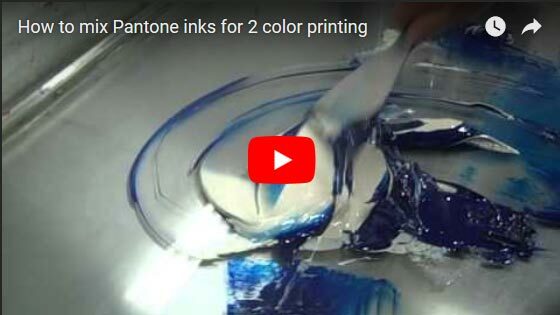 Pantone inks are the industry standard in two-color printing because they are part of a standardized color matching system to help different manufacturers in different locations or industries reproduce the exact same color by referring to the Pantone Matching System Color Guides. Adding a second color to black and white printing will add color and impact and can improve the professionalism and increase the response on marketing materials. A unique, readily identifiable spot color is sometimes used by companies to create a brand color that is used on all their marketing and product materials. Having a specific reproducible color for brand identification, especially if you print multiple items across different vendors or product types. Spot colors can be printed more consistently than a CMYK (four color process) color build across multiple pages of a multipage catalog, or across multiple printed pieces or even product types. If you need a standard logo color on a brochure, a plastic credit card or something like a metal product, a spot color can more easily be matched on all of them. If you are printing a piece that has a large, heavy saturated area of ink or a solid block of color that is used on every page in a booklet or catalog, using a spot color helps to ensure that the color is consistent throughout the piece. A PMS or spot colors is necessary for certain colors such as navy blue, bright orange or metallic colors that are impossible to produce using CMYK inks. In some cases, especially for higher quantities, it's less expensive to use 2 color printing than 4 color process printing. In most cases, two color printing is more expensive than full color CMYK, unless the size of the piece or quantity is fairly large. You can't have full color photos or a variety of different colored elements on a project printed with just two colors. Unless one of the colors used is black or a dark color, text readability might not be optimal. You end up with a less professional looking product that might negatively impact the marketing potential of the piece. Make sure that your printing company doesn't convert your specific Pantone request to a CMYK color build and print it as four color without telling you. 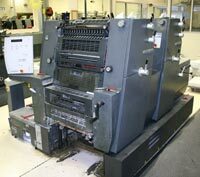 This has been known to occur and should be something you confirm when selecting your printing company. Make sure they will use true two color printing on your project if requested, and not a CMYK conversion. If a particular PMS color is really needed for branding or design purposes, one common practice is to use regular four color process printing and add one or two spot colors. This allows you to print rich, accurate photos as well as making sure that your spot color or Pantone color requirements are met. Five or six color printed pieces are fairly common, especially for high end marketing materials. Give us a call and let us walk you through the process. We can even send you Pantone® swatches to help you make your color decision. If you are printing a combination of coated and uncoated paper (for example, brochures and letterhead), remember that ink colors may not match exactly across the different paper types. It's the same ink, but they don't always look the same on different paper types, typically looking duller on uncoated paper stocks. If an exact color match is critical, ask for a "press proof" of your job. This will give you an idea of how the final colors will look on paper as opposed to your monitor. Need technical or creative advice on your 2 color printing project?